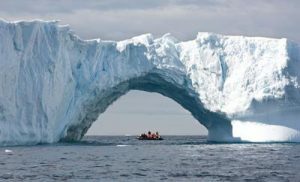 Australian wholesaler for South America and Antarctica, Contours Travel, is partnering with One Ocean Expeditions to host an in-depth Antarctica workshop for Melbourne travel agents on Thursday, September 8, 2016. Contours Travel will also run weekly webinars on South America’s most popular destination, Peru, from September 9 for agents across Australia. The free Antarctica workshop will be held at 6.30pm at Contours Travel’s headquarters at 287 Victoria Street, West Melbourne, with refreshments provided and all attending agents going into the draw to win a place on a trade famil to Ecuador in 2017. The workshop with One Ocean follows increasing demand in Australia for travel to Antarctica – the world’s most remote, untamed, spectacular and least visited destination. A One Ocean Expedition representative will explain the small ship expedition cruises the company offers in Antarctic waters, with agents to learn tips on how to sell Antarctica to the growing number of Australians seeking to tick the great white continent off their bucket lists. Space is limited and advance registration is required. Melbourne agents interested in attending the September 8 workshop should register ASAP via contours@contourstravel.com.au. Contours Travel, which has been one of Australia’s leading specialists on Antarctica and South America since 1975, will also run a series of weekly, 15-minute webinars on Peru at 11am every Friday in September, starting September 9. The free webinars will update agents across Australia on the latest product in Peru.